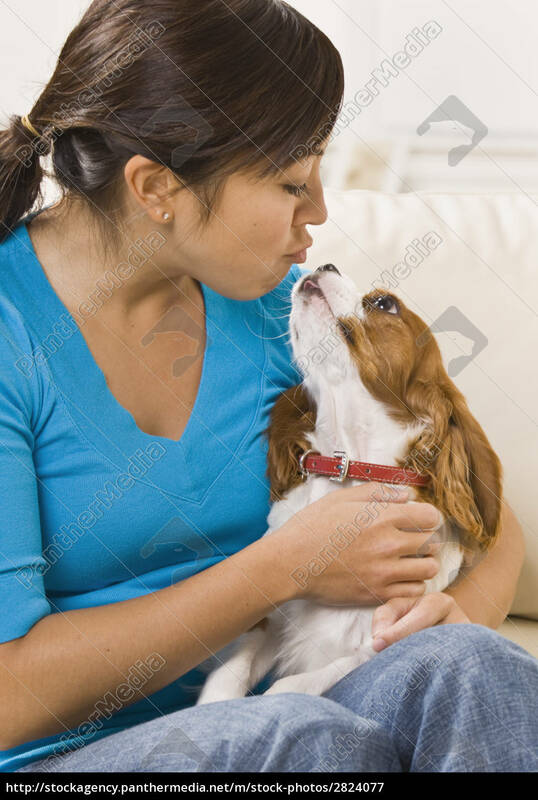 Royalty free image - A young woman holding a dog on her lap and making a kissing gesture. She has dark brown hair. Vertically framed photo.